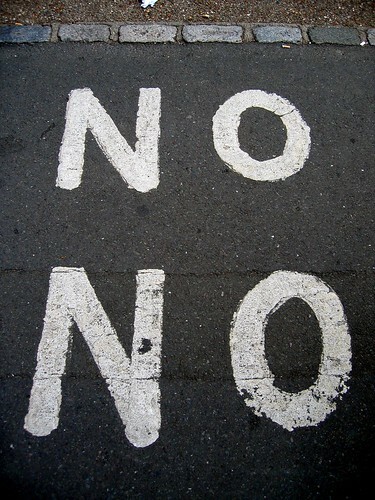 A lot of people don’t like Double Negatives and quite a number of people aren’t sure what they are. This article addresses both those concerns. Simply put, a Double Negative is when you use a negative form of the verb along with a negative quantifier (see below for the most common quantifiers). You are not going + nowhere. She didn’t speak to + no one. I didn’t do + nothing. The logic of applying math to grammar is a little dubious to say the least. To refute the math = grammar argument you can simply point out that adding two negative numbers does not make them positive so why not adopt that rule for double negatives? So the next time someone talks about double negatives and brings math into it, you can safely ignore them. Double negatives were common In Old English and Middle English. Whilst in “standard” English they’ve dropped out of use, they can still be heard in a number of modern dialects from AAVE to Norfolk. I didn’t see no one. In other words, if you did not see nobody, you must have seen someone. But all these so-called “logical” excuses for why we can’t have double negatives don’t really hold water. In the end it comes down to usage and prejudice. Note, the same people who frown upon double negatives could quite well talk about using them as a “no-no”, but for them this doesn’t count as a double negative for some reason. Because of the bias against double negatives in English (it still raises heated debate) it’s probably best if you teach your students that they should not use double negatives when they speak English. If they trot out a few in an English exam, they are likely to be marked down for it. Ideally these words should be taught as a set to your students.